DIEPPE, N.B. – The Greater Moncton International Airport Authority (GMIAA) is pleased to announce the appointment of Michael J. P. Magee and Brian Baxter to the Board of Directors. Mr. Magee is currently semi-retired and works part-time as executive assistant for a law firm in Moncton. He has skills and knowledge in several fields, notably accounting, auditing, airport management and economic development. Mr. Baxter returns to the Board after serving on it previously for five years. He has worked in a variety of private and public enterprises and can, as such, bring this knowledge forth to provide strategic guidance and direction to the airport and its management team. Earned his business degree from the Université de Moncton and worked as an accountant. Has airport authority experience (Gander, Goose Bay, Windsor and airport privatization with Moncton) in several roles from operations to finance. Following his airport experience, he began a sales career with a regional sign manufacturer based in Moncton. 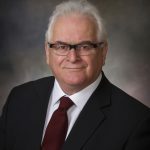 Subsequently, he joined a former Member of Parliament’s office for Moncton-Riverview-Dieppe where he assisted with community relations, the outreach program, communications and assisted with casework. CEO of Botsford Investments Inc. Native of Moncton, a graduate of Rothesay Collegiate School and the University of New Brunswick. 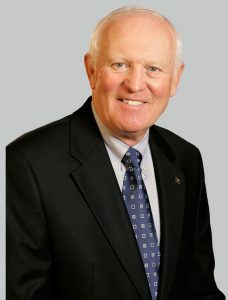 Former Chair of Enterprise Greater Moncton as well as the University of New Brunswick Board, a Past-President of Downtown Moncton Centre-Ville Inc., former Chair of the Moncton Flight College Board and Greater Moncton International Airport Authority Board member from 2011-2016. Atlantic Business Magazine honoured Mr. Baxter in July 2002 as one of Atlantic Canada’s top 50 CEOs. As a financially independent, not-for-profit corporation, the GMIAA has been able to attract some of the region’s strongest leaders to its Board of Directors to oversee the organization’s strategic direction. With operating revenues in excess of $18 million annually and providing air service to more than 681,437 passengers in 2018, the GMIAA is a strong economic leader, delivering a total regional economic impact of more than $665 million annually. YQM is a progressive airport and the leading airport in the central Maritimes. 24/7/365 – everyone associated with the airport strives to provide superior air service to passengers travelling all over the world and to the global cargo industry – safe, convenient, efficient, bilingual and businesslike. $665 million of economic activity annually, making it one of the top private-sector economic contributors to New Brunswick’s economy.